Tucson’s Sundays in the Garden Fall Concert Series at Tohono Chul Park just kicked off on October 31. The Tucson gardens are home to many popular events year round and its annual concert series sponsored by the Tucson Guitar Society is bound to have another successful run. As the name suggests, concerts are held in the Performance Garden every Sunday from the end of October through November from 1:30-3:00 pm. Shows are free to Tohono Chul Park members and non-members with the price of regular park admission. Early admission is encouraged as seating is limited and quickly filled. As the soulful music plays, guests can enjoy beer, wine, and specialty drinks like the Prickly Pear Margarita. Choose from the following artists and plan your next Sunday outing in the beautiful gardens of the Sonoran Desert. For more information about the Tohono Chul Park Fall Concert Series, visit the Special Events page or call 520-742-6455. Tucson Guitar Society International Festival – Enjoy the classical styles of various guitarists from November 5-6, and 10-12 at Holsclaw Hall on the University of Arizona campus. Tickets range from $10-30 per show with performances beginning at 7pm each night with the exception of the November 6th show which begins at 2:30 pm. Call 520-342-0022 for more information. 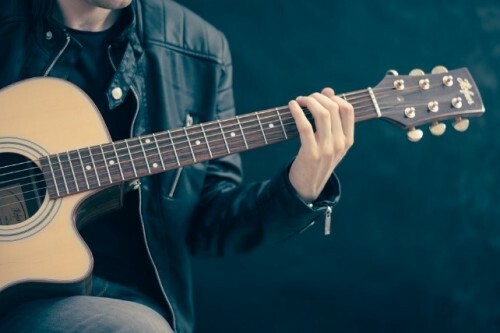 First Saturdays Concert at Catalina State Park – This monthly show features a wide array of musical genres from acoustic folk to rhythm and blues. Catalina Park’s fall and winter concerts will be held November 5, December 3, and January 7 with shows extending into Spring 2017. It’s free with park admission ranging from $3-7 and outside food/water is permitted. Call 520-825-9122. Hats Off to Heroes: Tucson’s Tribute to American’s Veterans – The show returns to Reid Park for a third year as musicians and Tucson families gather to salute local military members. The free all-day event will be held on November 12 and begin at 9am with a 5k Fun Run. In the evening, the Tucson Pops Orchestra will perform patriotic hits alongside the American Bombshells before the fireworks show. Visit the Hats Off to Heroes website for more info. Ballet Tucson Fall Concert and Gala – Celebrate the beginning of the dancing season with Ballet Tucson’s ballet company on November 18 at 8pm.The ballet will premiere “Spirit Garden” and “Perseus and Andromeda” with additional performances on Saturday and Sunday. Get there early as the reception begins at 6:30. Tickets can be purchased by phone at 800-838-3006. Home Alone in Concert – On November 26 and 27, the Tucson Symphony Orchestra will present a live chorus and score set to the classic holiday comedy “Home Alone.” The movie will be projected on the big screen and set to the direction of conductor Vinay Parameswaran. The TSO SuperPops! Holiday Special will take place at the Tucson Music Hall. Tickets can be purchased from the box office at 520-882-8585. Fall is the perfect time to enjoy a concert in Tucson—from the crisp air of an outdoor garden to a cozy symphony hall. Peruse Visit Tucson’s music and entertainment events page for a full list of fall and winter specials along with a full lineup of 2017 concerts. There is truly a little something for every music lover in the city.